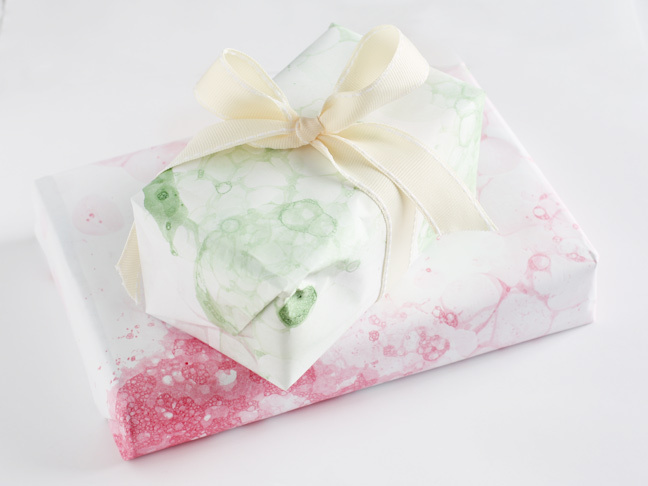 Looking for a fun way to wrap the kids’ gifts for their teachers? 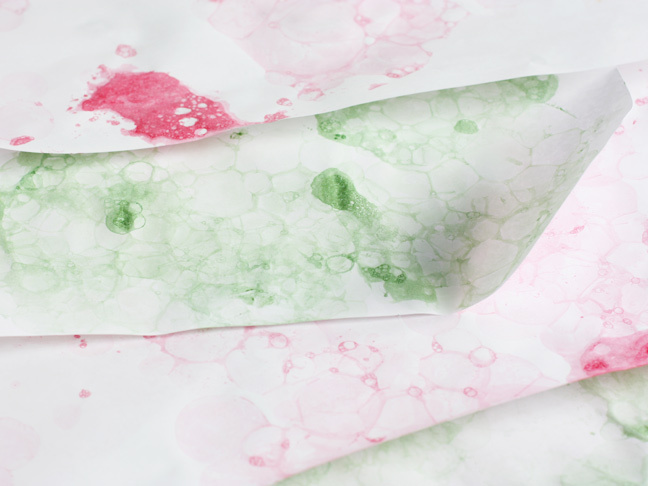 This bubble wrapping paper, made from white drawing paper dipped in bubbles made of paint and soap is subtle and beautiful. It is reminiscent of marbleized paper made by Italian masters. It takes some patience, and it can be messy, but it’s a lot of fun seeing the finished paper. This project requires acrylic paint, which is water based and non-toxic, but won’t come out of fabric when it’s dry. Be sure to wear clothes that can get ruined, cover your work surface well, and supervise the kids. 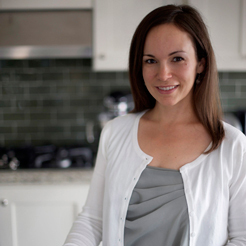 If anything spills, wipe it up with a wet cloth immediately. a small cereal bowl and a straw, or better yet, a bowl with the straw built in. Place a cereal bowl on a work surface covered with paper. This bowl with the straw built in is perfect for the project we’re doing. I have found them at grocery stores or Walmart for about $2. If you don’t have a bowl with the straw built in, a regular bowl with a plastic straw will be fine. Squirt about 2 tablespoons of paint into the bowl (that’s about half a small bottle). Pour in about 1/4 cup of water. Whisk it carefully to fully disperse the paint. 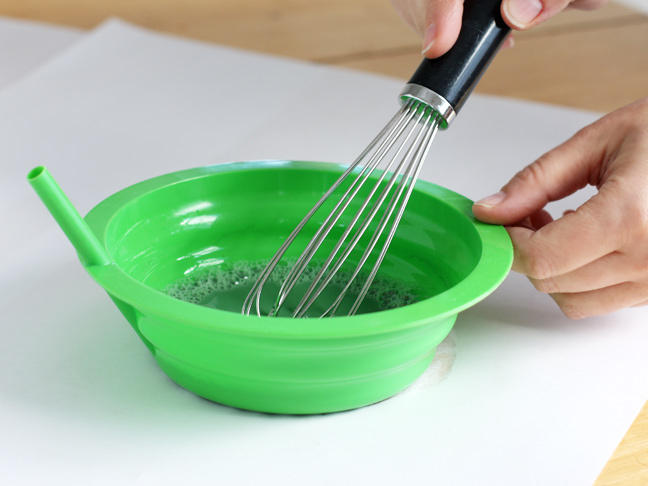 Slowly whisk in 2 tablespoons of corn syrup and 1 tablespoon of dish soap. 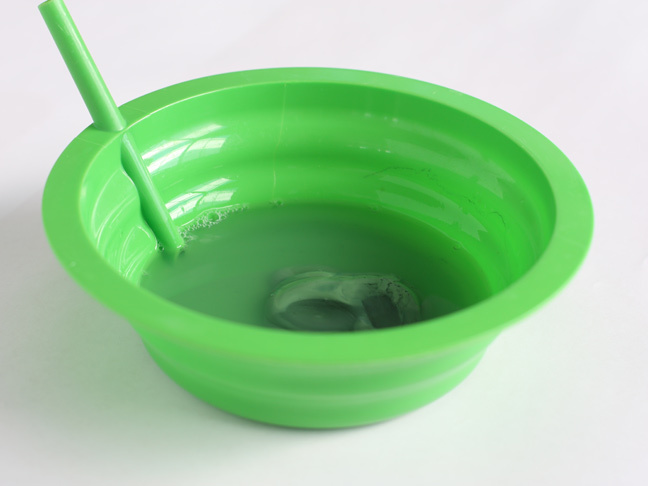 Tilt the bowl toward you, and use the straw to blow bubbles in the paint solution. 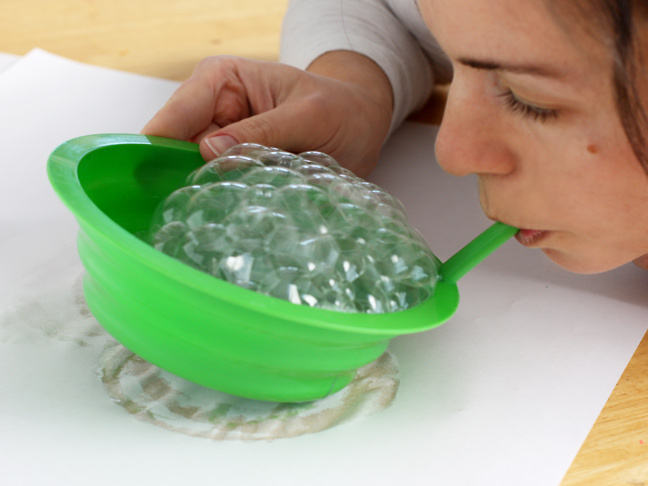 Blow the bubbles until they reach beyond the top of the bowl. 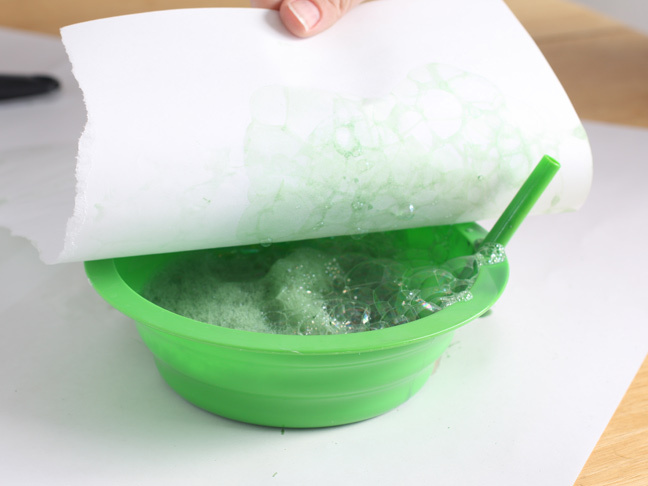 Place a piece of large white drawing paper on top the bubbles and let it sit there a moment or two. Carefully peel back the paper. 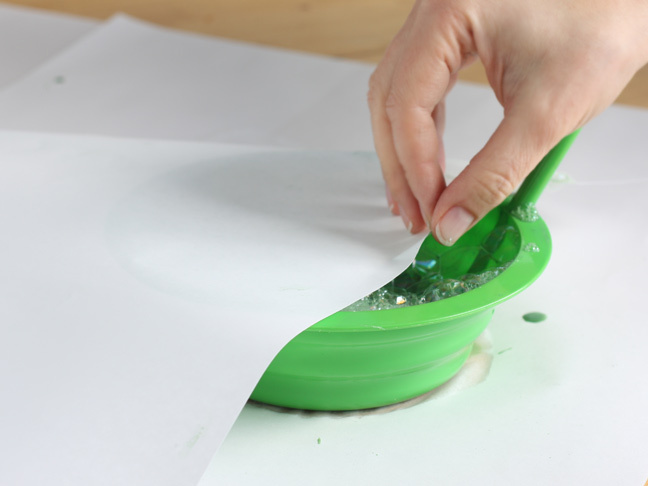 Repeat the process, until the whole piece of paper is covered with the bubbles the way desired.